Diamond Details Approximately 0.20ctw of round brilliant diamonds. Diamonds are G/H in color and SI in clarity. Additional Details This item comes with a Raymond Lee Jewelers presentation box! Categories: Gemstone Pendants, Gold & Diamond Pendants, Heart Shaped Jewelry, Jewelry, Pendants. 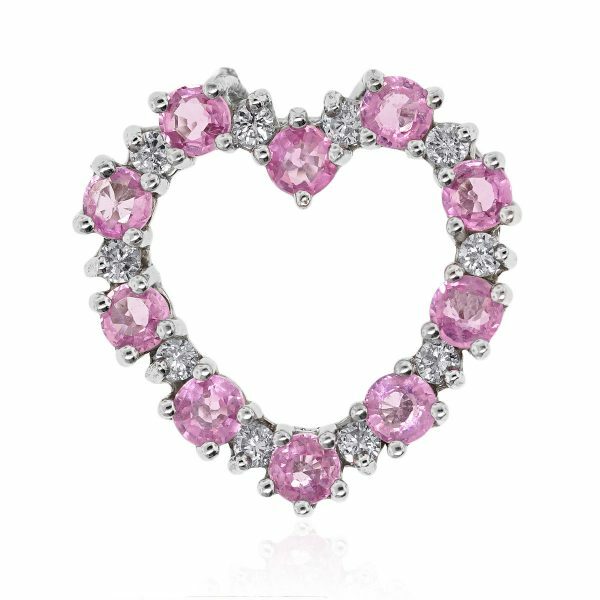 Tags: 14k white gold heart pendant, 14k White Gold Pendant, diamond heart pendant, Diamonds, Heart Pendant, Pendant, pink stone pendant.